OMAGH Leisure Complex has received more complaints relating to sexual misconduct/voyeurism than all of the other main leisure facilities in Tyrone combined. Following a freedom of information (FOI) request from this newspaper, it was also shown that of 12 such allegations at Omagh Leisure Complex since 2014, five involved a child under 16. It was further revealed that four of the reported incidents took place in the new unisex changing village. However, only five of the entire total of 12 were reported to police. The most recent report at the local complex took place in October after a man aged in his 60s was arrested on suspicion of voyeurism after he was allegedly caught spying on a 13-year-old girl in the unisex changing rooms. Police confirmed this week a file has been forwarded to the Public Prosecution Service (PPS) in relation to this incident. After being initially highlighted by the Ulster Herald, numerous local people expressed concerns about the open nature of this ‘Family Friendly Village Changing Rooms’ which were established following the £6.3 million redevelopment of Omagh Leisure Complex in July 2014. Conversely though, other families also welcomed the unisex facility as it allows a father to take his daughter or a mother to take her son to the pool, without having to send them into a separate changing area. Meanwhile, in the same time period there were two incidents of a sexual nature/voyeurism overall in the Cookstown and Dungannon Leisure Centres. Mid Ulster Council stated both incidents were reported to the appropriate authorities. However, there were no reported incidents of a sexual nature/voyeurism at Riversdale Leisure Centre, Strabane lodged since July 2014. “Fermanagh and Omagh District Council believes that everyone has the right to be protected from abuse and harm at all times and in all situations. 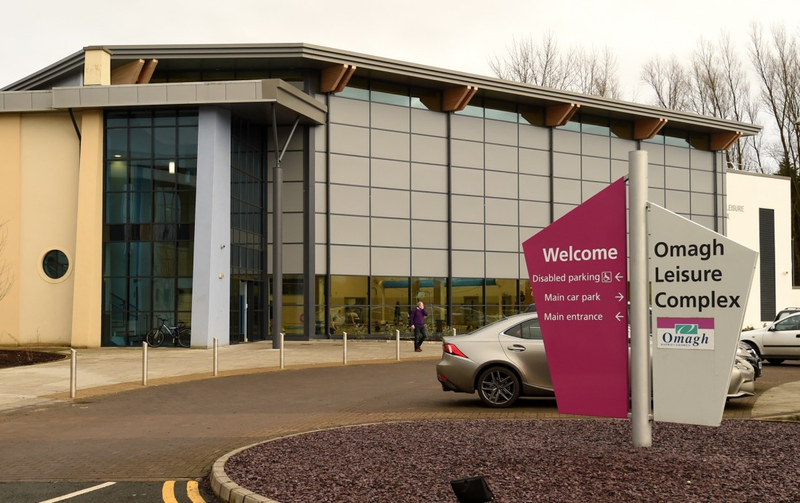 “The decision to proceed with village changing facilities at Omagh Leisure Complex was taken following extensive consultation with user groups, consideration of professional advice and feedback from centres with similar facilities in place. “The council operates Safeguarding Policies and Codes of Practice for children and adults (who may be at risk) which aim to safeguard the personal safety of children and vulnerable adults who use council facilities and services. “The council is also a member of the LeisureWatch Scheme, an annual membership scheme which includes training for front-line staff and managers, on-site signage and branding, a thorough assessment of the site to gauge risk, a reporting system linked directly to the police, and mystery visits to test the resilience of the systems in venue or facility to help ensure the safety and well-being of patrons at council leisure facilities, in particular children and vulnerable adults.